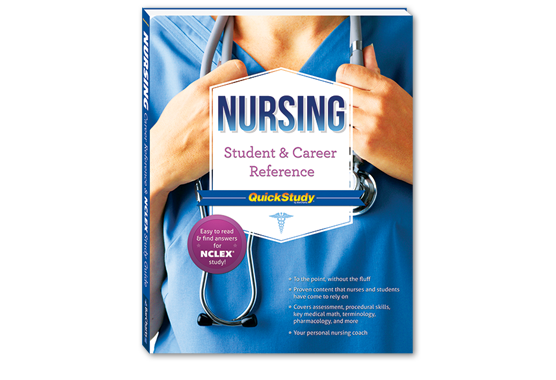 QuickStudy® products provide medical and health reference books and guides at your fingertips that are ideal for nursing and medical students, yet easy enough to be followed by anyone with a curiosity about how the body works. 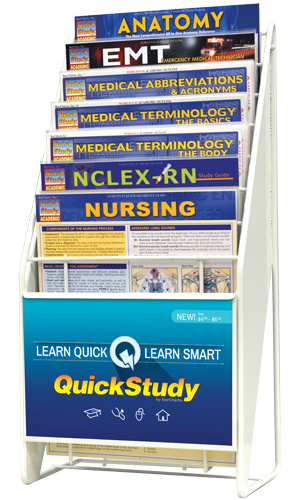 Read through the following sections on this page to learn the best ways to market and merchandise QuickStudy®. The products will be flying off the shelves in no time, thereby boosting your sales. 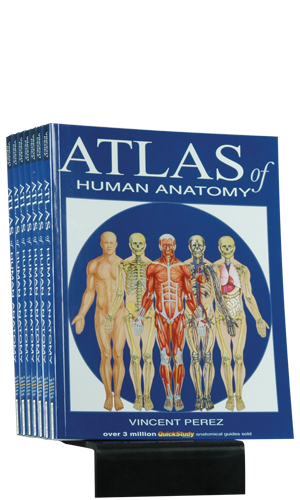 Retailers are the backbone of our business, as evidenced by the 15,000 (medical books) retail locations that carry our products. 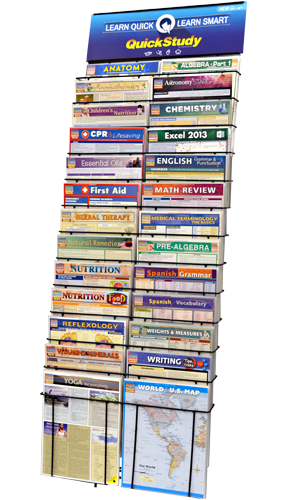 At BarCharts, we consider each of these 15,000 customers as partners in our quest to educate the world in quick, easy, and accessible formats, without the fluff! 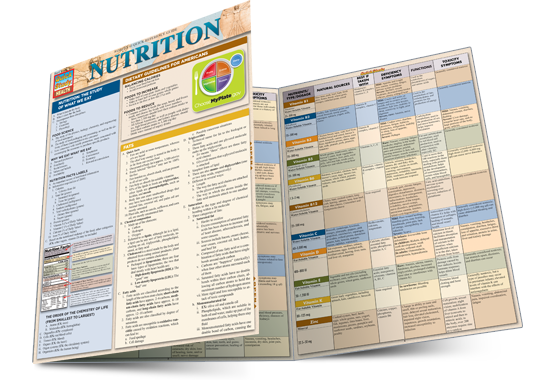 Download a copy of our order forms and catalogs to make sure you always have the latest products! Small or large store footprint, our displays can pretty much go anywhere. 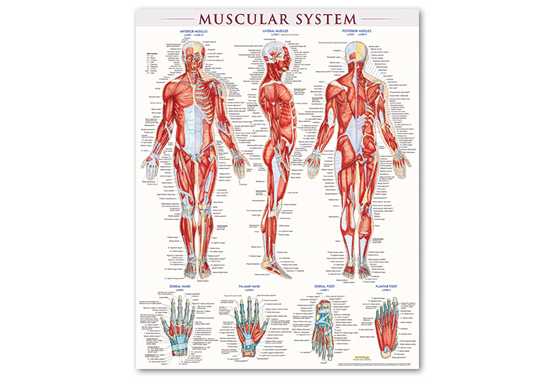 Whether you have a small store or large store, we have a display to fit your needs. 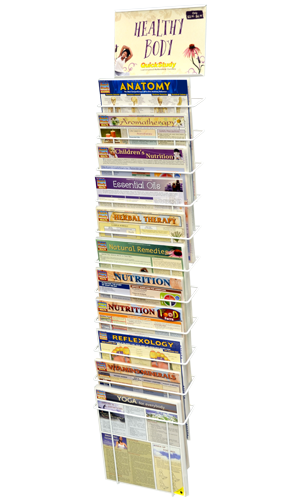 Also, if you are looking for a new, unique revenue stream for your store, choose between our popular 52-slot spinner display and our 26-slot free standing display! Floor space an issue? 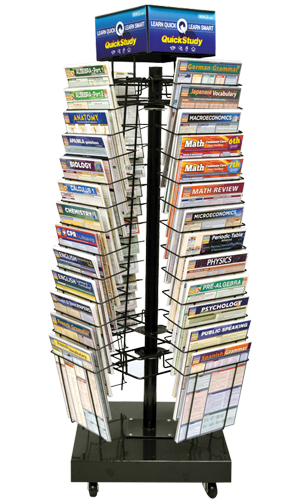 We offer hanging displays that attach to end-caps, slat walls, and pegboard. Looking to outpost certain titles in specific sections of your store? Our 1-slot and 7-slot displays are perfect. 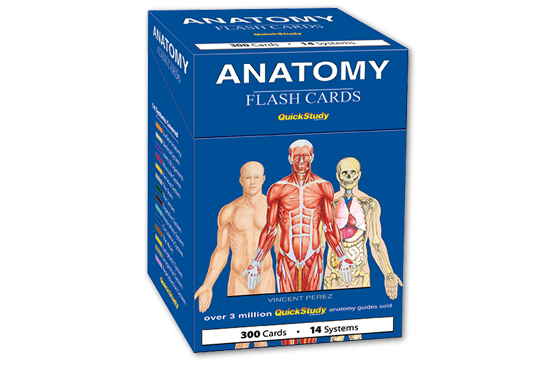 Want to place your logo on our full size anatomy reference guide or our nursing pocket guide? Or do you want to add your contact information or any other information? Well, we can do that. We take your content and design a road map to help your employees find the right information they need. Let’s face it- those huge manuals on the shelves are only collecting dust! Plus, you have used a lot of paper to produce them—and that’s not too “green”, is it? 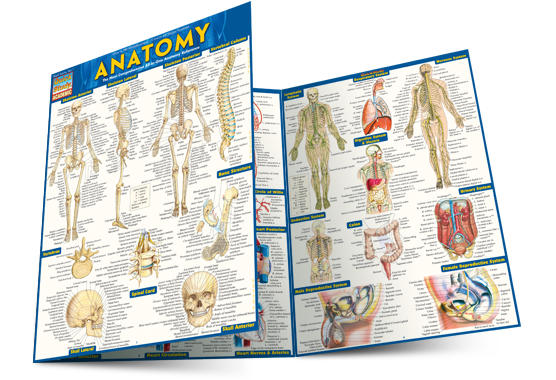 Since we’ve been in the business for over 22 years, we have experience in printing and laminating. We can work with your organization to get you the best possible pricing, and make sure that you receive the highest quality on all finished pieces. Retailers are the backbone of our business, as evidenced by the 15,000 retail locations offering our products. 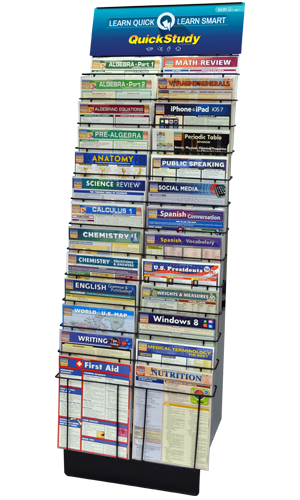 At BarCharts, we consider each of these 15,000 customers as partners in our quest to educate the world in quick, easy, and accessible formats, without the fluff! Fill out the form below to become a BarCharts/QuickStudy retailer today.